What orginally was to be the Card Patterns Sketch Challenge 46, turned out to be something that I love. I am not much of a tag gal, so this was a challenge in that respect as well. 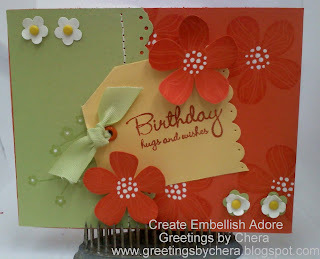 I used a varied of punches with the Eastern Blooms stamp set.